Electric streetcar class TW6000. The 1st series of these cars were manufactured by DÜWAG, series later on by LHB. The car is articulated at 2 points. 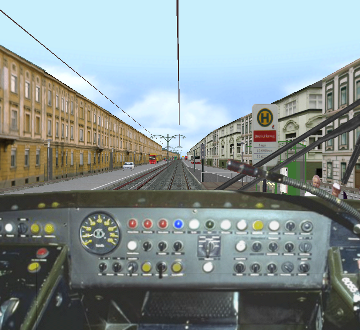 Photorealistic driver's stand with moving master controller and working indicators.